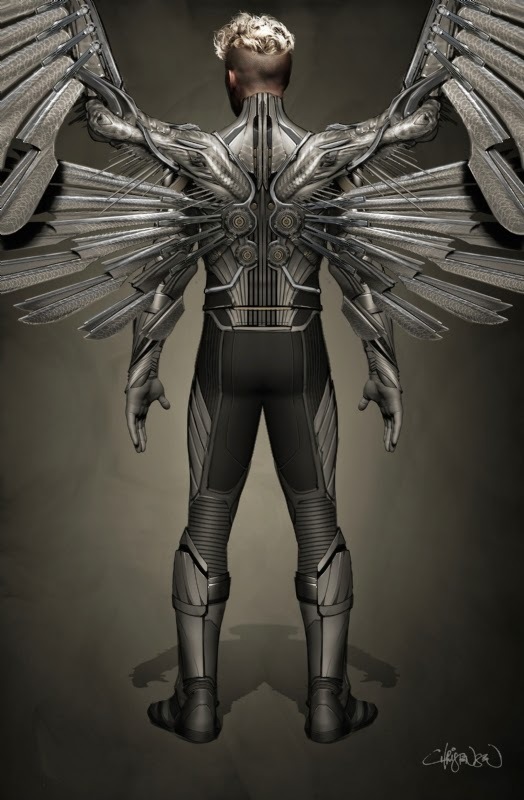 A few weeks back, Bryan Singer floated some intriguing production art online, teasing the possible appearance of Angel, the mutant alter ego of Warren Worthington III, in X-Men: Apocalypse. 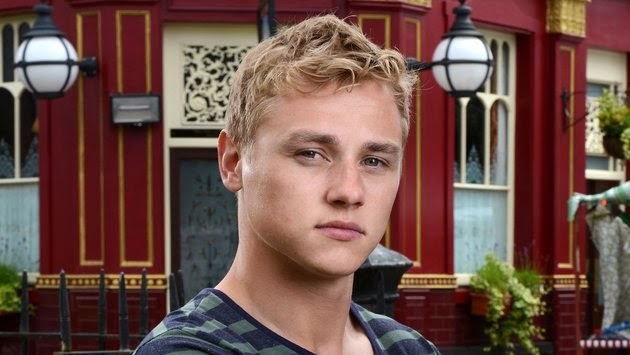 Nothing was confirmed at the time, but popular theory was that Eastender's Ben Hardy, at the time cast in an unspecified role, would be strapping on the pristine white wings of the high flying mutant, originally played by Ben Foster in X-Men: The Last Stand. Now, speaking with Empire, Singer revealed that Hardy will indeed be playing Angel, but added, "But he's not a very nice Angel! And that's all I say...". Couple these cryptic words with the below concept, and all X-Men fans will come to the same conclusion: the villianous Archangel could be making his way to the big screen. Fo those not up on your X-Men lore, Apocalypse (played by Oscar Isacc in the movie) has a penchant for augmenting mutants to serve as his Horsemen, super powerful servants who do their master's every bidding. The most famous of these Horsemen is Archangel, a captured Angel who came out the other side of these augmentations with blue skin and razor sharp knives for wings. Archangel's inclusion in X-Men: Apocalypse does make a lot of sense, especially considering he and Apocalypse really go hand in hand at this stage. 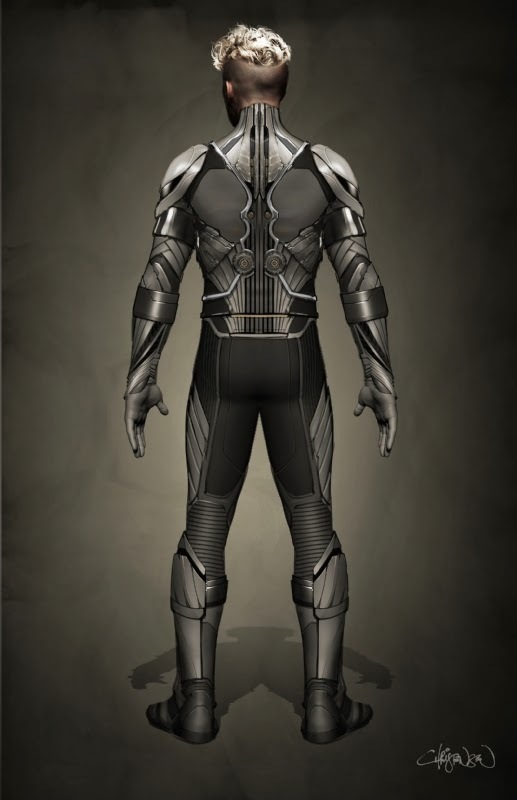 Also, the movie will have to feature the Horsemen in a semi major role (they could be used the same way Sentinels were in X-Men: Days of Future Past, so having a familiar character, albeit with a different face, in there would be a big help to the audience.